Sorry, everyone, but I can't hear you anymore. I've melted into a puddle of feels thanks to the adorable antics of Laura Dern and her family at the 2015 Oscars. 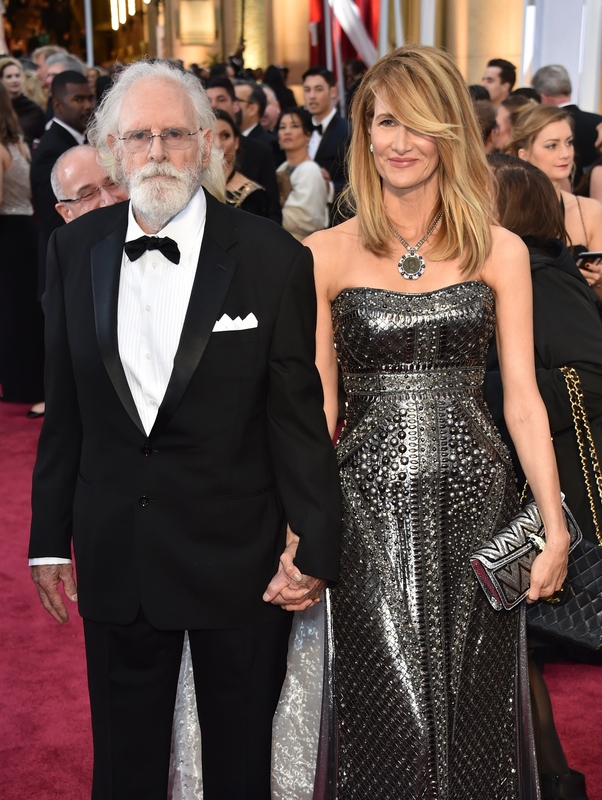 Dern brought her father, Bruce Dern, as her date to the Oscars, and it was just about the cutest thing I had ever seen. Of course, the Wild actress is far from the first celebrity to bring a parent as their Oscars date — in fact, Dakota Johnson came with mother Melanie Griffith to the same ceremony — but Dern has been walking the red carpet with one or both of her parents for years. In fact, if you can't get enough of the cuteness she displayed with her father on Sunday, then you might get a real kick out of these old photos of Dern with her parents on the red carpet. If I was famous, my parents would be lucky if I was willing to let them embarrass me in front of the paparazzi for a public outing, let alone bring them as my dates to a red carpet events. That's just begging my father to whip out the baby pictures and start talking about how I used to carry a doll everywhere. But Dern is an old pro at looking classy as all hell with one of her parents on her arm, and that's been going on for years.